The fun on the field after kickoff went directly to Kansas. The Yeti’s initial fear of an angry Jayhawk unit reeling off a Texas Tech whuppin’ came true. Jake Sharp could not be stopped as he tied a school record in rushing for 4 touchdowns. Meanwhile, poor blocking and a bad goal line play showed that Josh Freeman’s turnover woes continue. 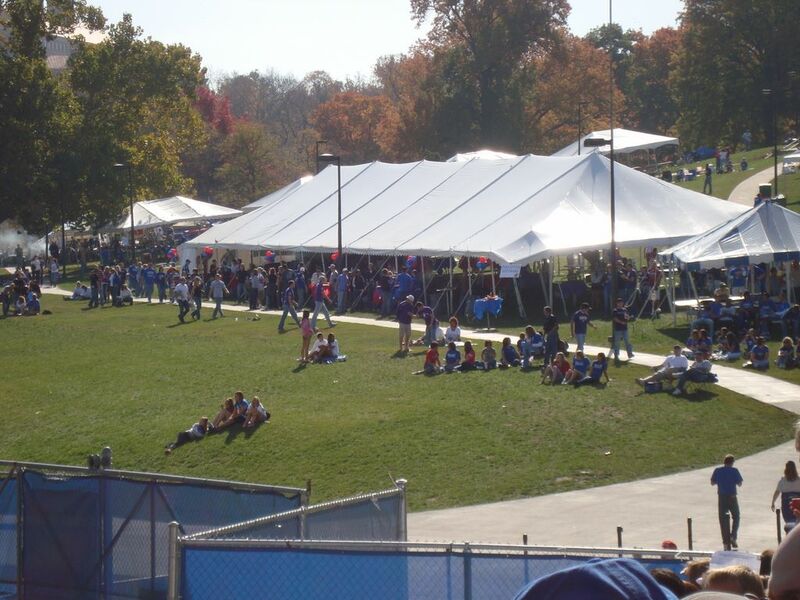 K-State’s defense took the wrong bus and the Yeti guessed they were chilling at their own courtesy tent. Welp the Yeti realized it was a blowout. Ron Prince can’t hide behind a marquee win this year. Methinks the picket line is fired up fully to can this guy. Although the prediction is that Prince is out as soon as Freeman leaves for the NFL. The first half ended with Kansas up 31-0 and a load of shame on K-State’s face. The pre game promise had to be met as the game was no longer competitive and it was time to head back to the courtesy tent. The poor play led to a pour play for the Yeti as he decided to drown his woes with the courtesy tent’s offerings. So the fast forward button is gonna be hit on this as the Yeti really doesn’t remember much from there. The bus ride was remembered slight if not for the road bloody mary that didn’t get finished. Once back to the secret location, the angelic DD showed up to cart us back to the abode. Many Kansas fans did not call as expected to give some grief, as the guess is that the score of the game was enough.